How impoverished our lives would be if humans were the only animals on earth! Animals enrich our lives by the warmth of their companionship, their devotion as service animals, the nourishment of their bodies as food, and the dignity and beauty of their lives as wild creatures. You are invited to gather in community to reflect on our complex relationships with animals and to express our deepest feelings for them. We will begin with a short meditation and talk, followed by a circle of sharing, and a simple ceremony of gratitude, remembrance and wishes for the well-being of the animals in our lives. You may wish to remember a companion animal that has died or is ill, an endangered or extinct species, or any animal(s) you wish to hold in your heart. You are invited to bring a photo to place on the altar. Informal refreshments to follow. All are welcome. No previous meditation experience required. 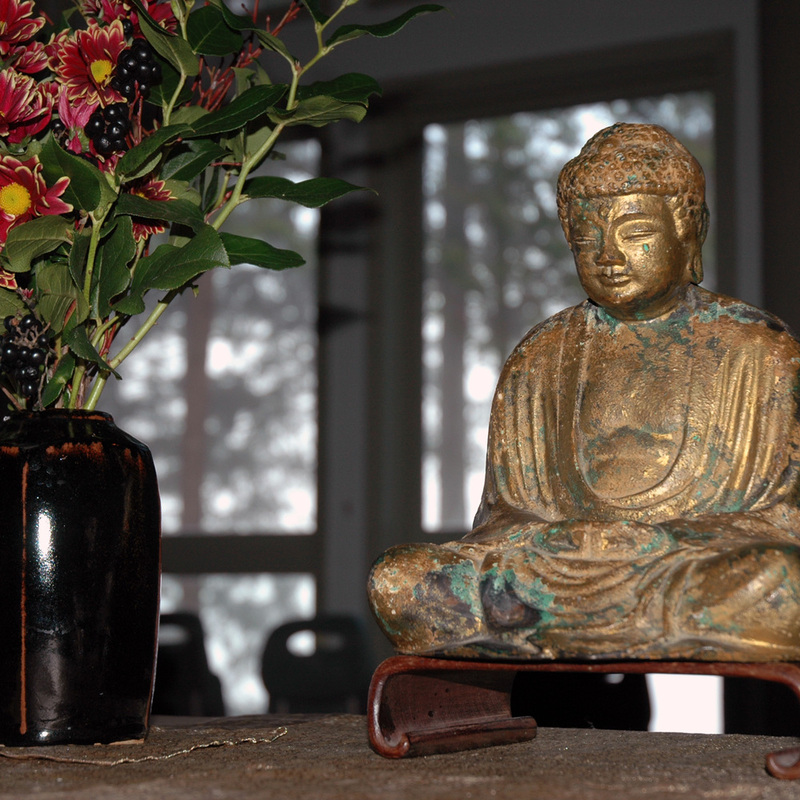 Buddhist teachings and practices are presented in a non-sectarian and accessible format. No previous experience of meditation or Buddhism necessary. Plenty of chairs, meditation benches and cushions available. By voluntary donation. RSVP to info@mountainrainzen.org. Led by Kate McCandless: Kate is a Zen priest and teacher of the Mountain Rain Zen Community, and a registered clinical counsellor. She has worked in the hospice field for many years as a bereavement counsellor, program coordinator, and volunteer trainer.